Debrian Travels: The long wait is over! I have the Chase Sapphire Reserve! The long wait is over! I have the Chase Sapphire Reserve! That was a long road, but I have finally reached the destination! Yesterday, my shiny, new Chase Sapphire Reserve card arrived via UPS! Earlier this week I applied for and was instantly approved for what is perhaps the most popular points and miles card on the market. While I always get a small rush when I am approved for a new rewards card, I wanted to do a fist pump when my screen flashed “You have been approved!" (I didn’t!). My excitement level was higher than normal given that I have been waiting to get this card since its debut in September 2016. The Chase Sapphire Reserve debuted in September 2016 with a big splash, offering a sign-up bonus of 100,000 Chase Ultimate Rewards points along with a slate of perks that remain among the most lucrative of any points and mile card. 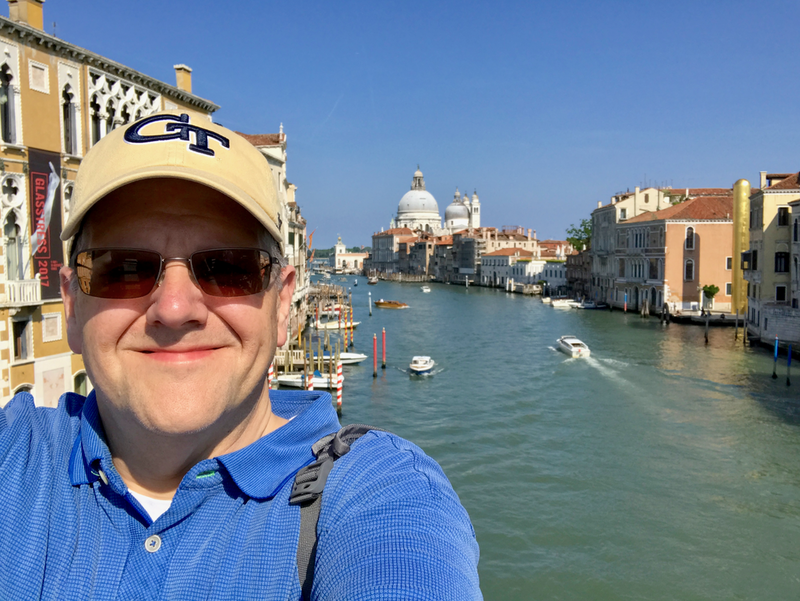 While the Sapphire Reserve proved popular in general, it drove a frenzy of excitement within the points and miles community like nothing else I have witnessed in the three years I have been actively pursuing travel rewards. Of course I wanted to apply for the card at that time, but there was one little…ok…big…problem. I was very out-of-compliance with Chase’s 5/24 rule which prohibits approvals for applicants who “...have opened 5 or more new credit cards in the past 24 months (from any issuing bank).” Since I had opened a slew of new accounts in the year prior to the launch of the Sapphire Reserve, I would not be back in the good graces of the approval police at Chase until fall 2017…assuming I did not open any new accounts in the interim. I felt like I was beginning a starvation diet! Fortunately, business cards from issuers such as American Express and Citibank do not count against 5/24, so I did not have to lay off new cards cold turkey, though my options were limited. As I passed up on many attractive offers, I kept reminding myself of the end goal: a Chase Sapphire Reserve card! I gave myself a cushion of a few months to ensure that I was completely out of the 5/24 woods before I applied for the Chase Ink Business Preferred card in February. While approval for this card is also subject to 5/24 limitations, I applied for it first because, as with other business cards, Chase business products do not add to your 5/24 new account total. With no change to my eligibility status, my patience and card acquisition strategy was rewarded when I applied and was instantly approved for my very own Chase Sapphire Reserve card! All these benefits come with a significant price tag. The annual fee - not waived the first year - is $450. Card can be obtained for authorized users for $75 each. Is the $450 annual fee justified? Any card with such a large annual fee begs the question: is the annual justifed? For the first year, the answer is a resounding yes. At a per point value of 2.1 cents, the sign-up bonus is worth $1,050. Coupled with the points earned on initial spend required for the sign-up bonus, 54,000 points equates to a very nice 25.5% return on total spend of $4,450 (including the annual fee). In addition to the sign-up bonus, almost anyone in the points and miles community will be able to realize the $300 travel credit. These two benefits alone are worth $1,350 for the first year you hold the card. Taking advantage of any of the other perks only sweetens the deal. Whether the annual fee can be justified in subsequent years is more complicated. That question merits a deeper dive, so I will offer some high-level thoughts now and analyze this in more detail in a later post. Considering that you should realize the $300 travel fee offset each year, your effective annual fee is $150. If you keep the card indefinitely and are able to use the Global Entry application fee credit, that's an average benefit of $25 annually over four years. This reduces the effective annual fee to $125. Let's conservatively estimate that I can save $30 per year from the primary car rental insurance. The Visa Infinite discounts may offer value, but, until I try to use them, I won’t know so I am assuming no value. The other benefits I already have from other cards in my portfolio. Bottom-line, my net annual fee is approximately $95. The main incremental benefit the Sapphire Reserve offers that none of my other credit cards offer is triple points on dining. Do I spend enough on dining to earn more than $95 in Ultimate Rewards points? My best alternative for dining spend is either the Citi Prestige Card or the Citi ThankYou Premier Card, both of which offer 2x Citi ThankYou Points per dollar of dining spend. Three Chase Ultimate Rewards points are worth 6.3 cents while two Citi ThankYou points are valued at 3.4 cents, meaning that the Sapphire Reserve offers an incremental 2.9 cents of return for each dollar spent on dining. To break even on my annual fee, my dining spend would need to be $3,276 annually or $273 per month. I think this is more than doable, but I will look at my historical spending pattern as part of my forthcoming deeper dive. 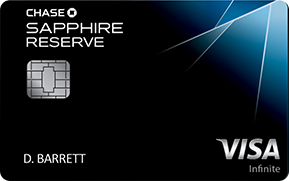 I am very excited to finally have the Chase Sapphire Reserve card. I am confident I will earn more than enough value, even in the second year and later, to justify the steep annual fee. I can't wait to start working on the sign-up bonus! I also expect to begin offsetting the annual fee by earning a portion of the annual travel credit on a beach trip in the coming weeks. Another reason I am excited to have the Sapphire Reserve is that obtaining it was the primary motivator since fall 2016 for limiting credit card applications. Having finally acquired the card, I again have flexibility in applying for new personal credit cards, though I intend to keep an eye on my 5/24 status. After all, in case Chase launches another great product with an unbeatable sign-up bonus, I want to be ready to apply immediately!